Nearly every day at UB’s Counseling Services office, mental health officials respond to a student in a state of crisis, university reports show. 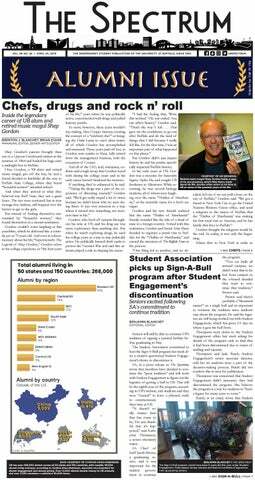 Although the number of crisis appointments and UB students admitted to hospitals has remained steady for the last four years, there is still a rise in counseling appointments every year at UB.Mental health at UB is handled by a wide range of departments, from Campus Living to University Police. These officials receive various degrees of training to respond to mental health emergencies and overall wellness for UB students. So far this semester, UB Counseling Services scheduled 186 crisis appointments, as of Nov. 12. This year alone, UPD has reported 22 student transfers from Campus Living areas to Erie County Medical Center for mental health evaluations, as of Friday, according to UPD Deputy Chief Joshua Sticht. The prevalence of mental health emergencies at UB, both in residence halls and beyond, reflects national trends too. In April, the American Psychological Association found that more than a third of freshmen on college campuses face mental health concerns. The APA’s research found that roughly one fifth of its student participants were dealing with depression, while 18.6 percent were dealing with anxiety. Campus Living, which oversees residences halls and apartments at UB, requires para-professionals –– RAs, CAs and administrative staff –– to undergo a number of mental health-related trainings. Thomas Tiberi, director of Campus Living, said Counseling Services trains its staff in QPR (question, persuade, refer) suicide prevention. The training sessions can last for two hours, according to UB’s website. Tiberi said para-professionals also go through emergency, crisis and mental health-related training which other departments provide at UB, such as UPD. Para-professional training also includes roughly eight hours of Behind Closed Doors training featuring role-playing for situations they may encounter on campus, Tiberi said. “BCD is intended to be a safe environment for staff to challenge and test themselves in situations, and to ask questions to clarify their understanding of policy, procedure, approaches and specific protocol,” Tiberi wrote in an email. Tiberi said his office encourages residents to notify staff, paraprofessionals and UPD of mental health emergencies and concerns as soon as possible. From there, staff make an incident report and a professional staff member determines the next step. Elsewhere at UB, Counseling Services offers walk-in crisis appointments throughout the day. Sharon Mitchell, senior director of Student Wellness and director of Counseling Services, said some of the top reasons UB students seek counseling services are anxiety, depression, adjustment or transition issues, close relationships and academic problems. Counselors are on call 365 days a year, Mitchell said, and the office provides emotional support for UB community members in case of a sudden death or traumatic life event. Mitchell said her office is designed to help students facing life-threatening circumstances, traumatic experiences and psychological barriers to self-care. The office had 4,026 counseling appointments as of Nov. 12. They have 20 full-time counselors. Mitchell said counselors focus on reducing specific symptoms and on developing coping strategies. University Police also play a central role in responding to mental health emergencies on campus. Officers responding to mental health emergencies and concerns perform initial assessments and look for possible risk factors, including past treatment for depression or other mental health issues, according to Sticht. “We also try to determine if the person has a good support structure in place here; we will commonly refer students to the counseling center in Richmond [Quadrangle] for follow up,” Sticht wrote in an email. Instructors from Crisis Services of Erie County— along with UB Counseling Services instructors — train UPD’s members and dispatchers during the unit’s annual in-service training. Sticht said UPD was the first police agency in Western New York to join the International Association of Chiefs of Police One Mind Campaign, a movement toward improving police responses to mental health concerns. Sherri Darrow, director of UB Health Promotion, formerly Wellness Education Services, said her office’s primary focus is on overall wellness, not in emergency situations. For a little over a decade, the office has administered the National College Health Assessment every three years to assess students on knowledge, attitudes and behaviors related to health and well-being. The next survey will be administered in the spring. In 2013, surveyed students told Health Promotion stress, anxiety and depression impeded their academic success. UB students are required to complete some health-related programs like AlchoholEDU and Sexual Assault Prevention programs, but there is not any mandatory UB education for mental health awareness. In July, New York State law required mandatory mental health education for kindergarteners through high school seniors. Currently, no such law exists for UB or SUNY curriculum. “We have not considered any mandatory programs but we do interact with students about stress management from the time they come to UB as summer orientation participants and then throughout their time at UB,” Darrow said. Darrow said Counseling Services also recently initiated a new program, free to students, which addresses mental health concerns on campus: TAO Self-Help. “This online program is available 24/7 and includes self-directed modules on a variety of mental health issues including sleep, stress management, mindfulness, problem-solving, relationship skills and strategies for coping with life’s challenges,” Darrow said. In addition to the new program, Health Promotion offers a number of services, including its interactive ‘Chill Out’ mindfulness education programs, RA/orientation leader trainings and a Wellness Suite with free tea and snacks in Health Promotion’s Student Union office. There are a number of mental health-related programs which could help students and UB community members’ understanding of mental health, according to Darrow. Programs like Health Promotion’s Mindfulness and Meditation programs help students gain skills to regulate their emotions, increase their focus, manage their anxiety and help them sleep better, according to Darrow. If you or someone you know is dealing with a mental health emergency or after-hours concern, call University Police immediately at 716-645-2222. If you are stressed or in need of someone to talk to, contact UB’s Counseling Services at 716-645-2720 on North Campus or 716-829-5800 on South Campus. If you are in a crisis situation, contact Crisis Services of Western New York’s 24/7 hotline at 716-834-3131. Students can also text the Crisis Text Line by sending “GOT5” to 741-741. Benjamin Blanchet is the senior features editor and can be reached benjamin.blanchet@ubspectrum.comand @BenjaminUBSpecon Twitter.